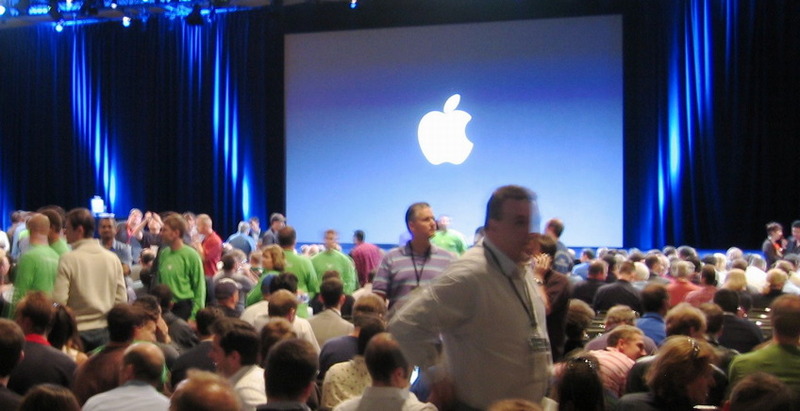 I’m eagerly awaiting the MacWorld keynote on Tuesday. I tend to skip most of the rumors nowadays, because I do not gain anything from them anymore. Either the rumors are vage and incomplete and therefore just useless, or the rumors are valid and cover all the details, which seriously spoil the fun watching the keynote. I’ll never forgive me for having a peak at the Canadian Time magazine cover the day before the keynote in (wait a sec, hmm…) 2002 to get a first glimpse at the new iMac (flat panel, Luxo). Even if you are not an Apple fan or don’t plan on buying new stuff, a Steve Jobs keynote is always fun and enlightening. If you have ever been bored to death by some cheesy PowerPoint slideshow displayed by an even more boring presenter, please, do yourself a favor and watch Steve Jobs giving a keynote. OK, so what would I like to have on tuesday evening? Of course a new notebook. Hmm, still can’t make up my mind. Either a fancy new MacBook Pro or an ultra-light MacBook with 3G mobile wireless built in. An ultra-light would be cool but I think I will miss my internal optical drive. And for proper work I need more pixels on screen than an ultra-light will provide. Unfortunately I tend to be always on(line). An iPhone is cool, but still somewhat limited. I have to decide until after the keynote. First come, first serve. Grr.